A wonderful choice on peaceful Lake Caragh and perfect in every way. Our very comfortable room looked out over the garden to the lake with mountains towering beyond. Kathleen and Gene were very kind and hospitable and took great interest in my search for family in the area. Breakfast was first class and served at a long table with wonderful views. We look forward to returning again in the future. The owners were very sweet and welcoming. The property is peaceful and relaxing, and absolutely beautiful. Very wonderful place. It was in a more remote area outside of Killorglin, but the seclusion from town life added to its charm. The views around the building and from our guest room right next to the lake! were spectacular. 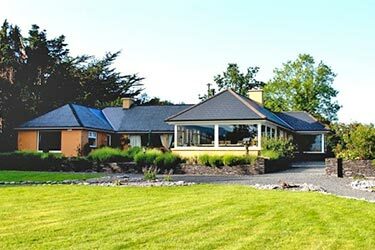 Our host was gracious, direct, and extremely helpful with recommendations and suggestions, proving to be very knowledgeable of the west coast of Ireland; in addition she provided the best breakfasts during my stay in the country. Gene and Kathleen made our stay so very warm and friendly. The views were amazing along with a hearty full Irish breakfast. Such a beautiful landscape with picturesque lake and mountain views. Definitely a must if you are in the Killorgl in area!